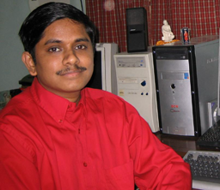 ﻿ Author of Azhagi - B.Viswanathan - Contacts - Facebook Group, Email, Twitter, etc. God is Great. Even before reading my actual announcement (dt. Feb 14, 2019) hereunder, kindly please see whether you have indeed gone through the extremely "extensive" help resources already available via various avenues (including from within Azhagi+ too; in the very starting screen of Azhagi+ itself; in Tamil too for some queries). The help info provided in the starting screen of Azhagi+ may contain the answer to your query right in front of you, in more than one way. For e.g., if you wish to know how to type in Tamil in applications like PhotoShop/PageMaker/etc. (particularly in Senthamizh fonts), the answer to the same is available in more than one place, right in front you (with several video demos coupled with 'step by step' instructions). One of the places is the help menu item "Typing in Pagemaker, Photoshop, etc." under the "Help" menu of the opening screen of Azhagi+. So, as you can see, your answer is just 2 clicks away. Just click the "Help" menu and then the menu item "Typing in Pagemaker, Photoshop, etc.". Thats all to it. But then, queries such as above are asked again and again by different users, even when the answers to them are already available, quite handily. the various help tips present in the FAQ (Frequently Asked Questions) page. It's a vast resource. One easy way to know whether your query could have been answered in this page is to search in it. For e.g., if you need dotted Tamil fonts, then visit this page and search on 'dotted' in this page. the variety of questions answered in Azhagi Facebook Group. It's a very very vast resource. One easy way to know whether your query could have been answered in the group is to search in it. For e.g., if you need to convert images or PDFs to editable texts (i.e. OCR), then visit the group and search on 'OCR' or 'PDF to editable Tamil text' (using the search box provided by Facebook and not the browser). several more resources (similar to the above ones) - steps-regular.html, steps-in-tamil-regular.html, steps-portable.html, steps-in-tamil-portable.html, changecreate.html, anytamilfont.html, etc., etc., etc. Whether you read my above 2 requests "fully" OR at least had a glance at them. What action (if any) you took - primarily in popular social media forums (Facebook groups, Quora, Whatsapp groups, Blogs, Instagram pods, Webzines, Youtube groups, Twitter lists, Tumblr groups, etc.) and secondarily in your own (if any) websites/blogs/youtube channels/instagram/facebook page/etc., - to spread the news of Azhagi (after reading my above two requests), so that many more of the society get benefited, in much the same way you have got benefited immensely so far. If you indeed took any action, it will be of great help to me personally too, by boosting my productivity tremendously (as explained in the first of my 2 requests) so that I can keep churning out more and more updated versions of Azhagi apps at a further more faster rate, which in turn is again going to benefit the society only eventually. Well, even if you did not have even a glance at my above 2 very kind&humble requests and even if you did not take any action based on my above 2 kind&humble requests, NOT a problem, as such. I shall still answer your queries and definitely help you out. But, I need you to necessarily let me know whether or not you read my above requests (AND) if read, whether or not you took any action based on them - to spread the news of Azhagi (not orally but visibly [e.g. in social media sites]) and thus help the society. Thanks for your understanding/cooperation in this regard. You may ofcourse kindly please seek support for Azhagi apps through some other entity or means. For e.g., by opting to personally contact some other member of Azhagi Facebook Group. But, in such a case where the help offered by the other entity does not solve your query, kindly do not blame the other entity OR Azhagi. The other entity is doing a great favour (since you are not contacting me directly) to help you out with whatever knowledge he/she possesses on Azhagi apps. So, kindly be accommodative to the other-entity and azhagi always. After all, I am providing everything "absolutely FREE"** for you, expecting nothing in return. Absolutely NOTHING. And that too, amidst various difficulties. I am just a very very ordinary individual**, working from my home. That's all. So, please be kind and accommodative. There is one more option too. There are various other useful Indic software (free and commercial). I myself have listed and written about many of them at my india.azhagi.com page. You are at liberty to opt to start using any of them. For any doubts in those software, you can always read/see those software's help resources OR opt to write to the authors of those software and seek help from them. You can opt to write even to Microsoft or Google. They are also providing Indic software. In other words, all the time, you have the choice to be not to be entirely dependent on Azhagi apps alone. Thanks. (**) absolutely FREE - I am not asking any user any money in any way. I am not going to ask any money in the future too. I have not sought even donations from anybody so far. I do not host any advertisements either - in my site or in my apps. I do not earn anything out of my own too. My better half only earns. I don't. I am not funded by anybody to do my work either. I am just an individual. A non-entity, actually. God is everything. I am nothing. Not even zero. I am NOTHING. So, kindly take some few minutes at least, to get to read the history of Azhagi and also about me and always please be kind, kind, and doubly kind - towards me, azhagi and any other entity who is helping you out on Azhagi apps. Azhagi's Facebook Group - https://www.facebook.com/groups/Azhagi - is the first and best way to contact me (Viswanathan), the founder of azhagi.com and author of azhagi.com's freeware. The way to contact me is just to simply post your query or testimonial in the group. That is all to it. So, kindly join the group. Joining the group and posting your query/testimonial is a very simple process. Even yet if you need guidance for the same, then that also has been given in a step-by-step manner at join-azhagi-facebook-group.html. 'Azhagi Facebook Group' is a public group and an exclusive support forum for all my freeware. Note that you can read the existing messages of the group even without joining the group. If possible, please go through this checklist before posting your queries in the group. Depending on your query, I shall answer your query in one or more of the following ways. I will allow your query to be posted in our group and reply for the same. I will not post your query in the group but reply for it separately via a new post by myself wherein I would tag your facebook name so that you get notified. I will not post your query in the group but reply for it via facebook messenger. Make sure you have read this important announcement "fully" before posting your query. Kindly post your query as a separate post and not as a comment in some unrelated thread. If you do so, I might sometimes not answer your query. Kindly please carry a sincere/kind tone in your query. In other words, kindly do not ask your query in a blunt/nonchalant manner. Please do mention clearly whether your query pertains to Azhagi desktop application OR Azhagi android app. Please do not post your query declaring that a particular problem is definitely to do with Azhagi only (because, many of your issues might be to do with external factors, as mentioned in the checklist). Kindly just state your issue and request for solution. Kindly scroll down further for my eMail, phone number and more such info. If you wish to email me in order to clarify any doubts in Azhagi, then I would request you to first join Azhagi's Facebook Group and post your query therein (in the group) only. Simultaneously, please email your query too (to "NOBLEHEARTED at GMAIL dot COM"). Please go through this checklist without fail before 'posting & emailing' your query. Depending on your query, I shall answer your query either through the group or through email or facebook messenger. Please note that I do clear doubts to the best extent possible, to any entity from any part of the world - including commercial entities. Not only Azhagi is 100% free to ALL, the support (as and when it is given) is 100% free too - to ALL. Note-1: Joining the 'Azhagi Facebook Group' and posting your query is a very simple process. Even yet if you need guidance for the same, then that also has been given in a step-by-step manner at join-azhagi-facebook-group.html. Note-2: Azhagi's Facebook group is a public group, active since Oct 2014. Therein, I regularly interact with users and post information on Azhagi+ and other softwares of it's kind. I clarify all the doubts of users, explain about the unique/special features of Azhagi+ and announce about the new versions of Azhagi+. So, if at all possible, kindly please join Azhagi's Facebook Group. This is a 'very humble request' from me. By joining the group, you help me interact with all users in a common platform. It makes it easy for me to disseminate common information and for my support tips to help more users in one go. That in turn helps me maintain my productivity at it's best. So, please join. Thanks, in advance. Note-3: In case you do not have a Facebook account (in order to join Azhagi's Facebook Group at https://www.facebook.com/groups/Azhagi), then I very much request you to create one. It is free. And, if you have any concerns of unnecessary contacts emerging for you through your facebook account, please note that you can specify in the 'settings' of your facebook account that nobody shall send you friend requests and thus it is possible to have a facebook account with 'zero' friends. Anyway, this is just for your information only, in case you are not aware. Otherwise, not to have a facebook account is definitely your prerogative. So, in case you opt to still email me for your queries (if any), then it may not be possible for me to answer such queries via emails always. I very much request you to kindly please bear with me if that happens. Once again, thanks, in advance, for your understanding. If you wish to email me for purposes other than clarifying doubts in Azhagi, then please read Important Note below before emailing me. If you wish to call me in order to clarify any doubts in Azhagi, then I would request you to first post your queries in Azhagi's Facebook Group only. Please go through this checklist without fail before posting your query. In case your query needs that you have to necessarily call me, I will kindly let you know the same. Thereafter, you may kindly email me (at noblehearted AT gmail DOT com) to get my contact phone number. But, kindly please understand that depending upon my situation (health condition, etc. ), I may not be able to pick up your calls at all times. But, as and when I pick up the call, whenever my situation permits, I do clear doubts to the best extent possible, to any entity from any part of the world - including commercial entities. Not only Azhagi is 100% free to ALL, the support (as and when it is given - over mail or phone or online forum) is 100% free too - to ALL. Note: Unless any urgent help is required, kindly please call me only between 10am and 7pm, Monday to Saturday. If you wish to call me for purposes other than clarifying doubts in Azhagi, then kindly request for my contact phone number by emailing me at noblehearted@gmail.com, specifying your purpose along with. Kindly please read Important Note below before calling me. Note: Unless it is very urgent, kindly please call me only between 10am and 7pm, Monday to Saturday. I reside in Chennai (T.Nagar, 'Pondy Bazaar' area), India. I develop/enhance Azhagi/Azhagi+ applications and maintain azhagi.com - alone#, from my home - ever since Azhagi's inception in 1999/2000. Due to health considerations and other genuine personal reasons, I am not in a position to meet anybody in person, whatever be your motive* to meet me. I do feel "extremely" sorry about this but very hopeful that you will understand nevertheless. My "deepest" apologies for my disinclination in this regard. (#) In reality, one can never say Azhagi/Azhagi+ is a one-man software team, because, without my well-wishers and their timely support/encouragement, I could never have prodded along alone for these many years (since 1999). And, Azhagi/Azhagi+ would never have reached worldwide. I ever remain indebted to my well-wishers. Ultimately, thanks to the Lord Almighty ever, for all and everything. (*) For instance, even if your motive is to just see me in person or just convey your thanks in person or just have a few minutes of friendly talk. I feel that even that half an hour or one hour which is spent in seeing me and conversing with me, a NOTHING entity (not even zero; just NOTHING) shall be spent by both of us in some 'noble' activity which is of use to the society. God is Great. Praise the Lord. I will continue to strive my best to remain a NOTHING entity. Thanks for reading the above note and thanks for your understanding. A note (reg. 100s of free fonts): Apart from my free apps above, you can also find links to download 100s of free fonts created by various entities at freefonts.html. It includes the exquisite 'Sai' fonts created by Mr. P. S. Ranganathan for 'Classic Azhagi' too. Facebook Page and Facebook Group exist for Azhagi/Azhagi+. They were started not by me but by Sri AKR and Mr. Dineshkumar respectively. Wikipedia pages too exist for Azhagi - here (in English) and here (in Tamil). Like the facebook group and facebook page, these Wikipedia pages were also initiated by Mr. Dineshkumar and Sri AKR respectively. Wikipedia page on myself is here. This, as well, was initiated by Mr. Dineshkumar. Kindly please see contribute.html (as well as spread.html). Therein, I have NOT sought any monetary contribution for me. So, please do visit and read the aforementioned pages and see what best you can do, if at all possible.